Environmental issues have never been so prominent in business, in an era where we and the consumers are empowered with knowledge. It is not only our job to listen to our customers, it is also our duty to take responsibility for the environmental impact of our businesses. After all, there 5.7 million SMEs in the UK, and collective changes would have far-reaching effects. It was suggested as early as 2010, in a report by the European Commission that SMEs accounted for approximately 64% of the industrial pollution in Europe. And it’s not without action from legislators, the EU first established an environmental policy in October 1972 at the Paris Summit and while back then, was it assigned much importance, in the coming decades environment was to be given more of a front-seat role. Both UK and the EU has offered guidance and legislation for business to adopt greener principles and practices. However, it seems now SMEs are adopting these on a much more voluntary basis than ever before - spurred on by, as we have mentioned previously, consumer demand. In a survey conducted by Censuswide for agency 18 Feet and Rising found that 84.5 % of UK SME owners said they believe their customers are interested in seeing businesses act sustainably, while 43% said the adoption of ethical business practices would boost their customer base . However, it is good to see that 38% respondents of survey cited “making a difference in the world” as a key motivator . It appears as though consumer demand is motivating businesses to become more sustainable which is reinforced by government green tax breaks for energy-efficient SMEs. How are SMEs trying to be more sustainable? The most common resource efficiency actions being undertaken by European SMEs are minimising waste (65%), saving energy (63%), saving materials (57%), saving water (47%), and recycling by reusing material or waste within their company (42%) . While these are the most popular methods, there are countless creative and inventive ways SMEs are investing in and trialling to create real sustainable change. In the following case studies we showcase how some UK businesses are implementing a variety of different policies and practices to adapt to these environmental issues. Diamonds may be a girl’s best friend, but thanks to conflict, mining and the associated enormous carbon footprint diamonds aren’t necessarily the environment’s best friend. 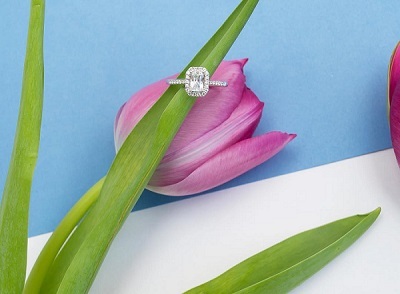 British brand, Nightingale, run by Stephen and Diane Nightingale are actively proving this wrong with their lab-grown, ethical and sustainable range of synthetic diamonds for their jewellery business which they run from York. After years of working in the industry, upon starting this business the quest was to offer quality, custom and affordable products to their customers. It’s worth noting the environmental cost of the diamond trade; for every carat of mined diamond 1750 tones of earth have to be moved . Additionally chemicals used in mining run in into the soil and water system which affect local populations and ecosystems, and depending on the origin of the stone, the trade can be a source of conflict and war. But none of these environmental problems are a consequence of the business run by Stephen and Diane. It’s not a new thing for diamonds to be grown in labs, industrial stones have been produced in labs since the 1950s, but were never large or pure enough for jewellery use. Today however, the technology used to grow these CVD diamonds (which stands for chemical vapour deposition) which have exactly the same atomic structure, physical, chemical and optical properties as mined diamond. One of the additional benefits to are the savings which are passed on to Nightingale’s customers; typically it can be between 30-40% against that of a mined diamond with similar specifications. While taking advantage of this USP Stephen and Diane are reducing the impact of their business’ carbon footprint from emitting 57,000 grams per carat for mined diamonds 0.028 grams per carat for CVD diamonds, which is really quite impressive. Where Stephen and Diane’s business has sought to provide a quality product and value for money, they have also challenged an antiquated industry process which has huge environmental cost. Investing in a technology which shows no sign of slowing down abroad, and bringing it to the UK, where CVD diamond trade is not as big, shows an innovative way of turning an industry-wide problem on its head.. The main takeaway from this case study is really looking at how technology can help businesses to innovate - in doing so it provides solutions to conquer multiple paradigms within an age-old sector. It pays to be on the ball about what new technology is filtering into your sector, what trends are appearing and how they are being adopted (or perhaps not being adopted). What are others doing in other parts of the world, and how is that being received? If after you’ve asked yourself these questions and you realise that technology offers an equal or better product, offers better value for your customer and positively impacts on the environment, then you can certainly see the brilliance in that. Hackney’s Arcola Theatre is rethinking the way it powers its name in lights. It’s an ambitious yet seemingly achievable goal to be the world’s first carbon neutral theatre . Founded in 2000, already with the ethos of community involvement and responsibility, it all began as a result of one of their volunteers having a PhD in solid oxide fuel cells from Cambridge (as you do). Dr Ben Todd became interested in developing low carbon energy solutions during his gap year working at the theatre. This was the start of the Green Arcola project, which began in 2007, that today has become a whole new enterprise of its own. Arcola Energy of which Dr Todd is now managing director, was set up in 2010 and has since become a separate retail company specialising in fuel cells as well as working in conjunction with the theatre. “Our technology work in the theatre has two purposes. One is to create a genuinely carbon neutral theatre and the second one is to use the theatre to showcase energy technologies.” says Dr Todd. Dr Todd’s work takes fuel cells and hydrogen and puts them together with other technologies to create portable power which in the context of the theatre powers lights, cameras and computers. But obviously this has applications for anywhere ‘out in the field’ - such as festivals, music events or construction sites. And it is in these applications where Arcola Energy engages in business. It turns out the theatre’s trailblazing sustainability projects were ahead of the curve, as in 2012, the Arts Council put environmental sustainability into their funding criteria which created a nationwide emergence of green theatres. As a result, sustainability is now thought of, managed, and balanced in the same way as time and money. Since 2012 the Arcola Theatre has reduced its carbon footprint by 25%. Arcola has adopted other energy saving and sustainable measures to help work towards its goal of becoming carbon neutral. Such things include installing solar panels which provide the theatre with up to six kilowatts of electricity, solar thermal panels to heat tap water, LED lighting as well as the DC microgrid technology which helps makes use of the solar power for charging battery operated items. As part of its sustainable pledge, the Arcola saved £13,000 by reusing old bricks when they renovated and moved to their its current home in Ashwin Street. So what are the takeaways from this for SMEs? Well the truth is the Arcola’s endeavours aren’t necessarily applicable or achievable for every business, after all most businesses don’t have someone with a doctorate in electrochemistry at their disposal but there certain small things are ways of reducing your carbon footprint, such as LED lighting, switching to a renewable energy suppliers, and reusing items rather than buying new. After all, for the Arcola, pursuing a carbon neutral footprint led them to create a whole new field of business and opportunity altogether. St John’s Buildings (SJB) is one of the first barristers in the UK which is on its way to becoming paper free. In 2014 they launched their strategy which will see them become completely paperless by 2021. But how on earth does a business so historically paper-driven, even begin to think about removing the need for paper? The answer is technology. The chambers has adopted an integrated software tool which enables the secure production, sharing and storage of legal documents (even without an internet connection). The ramifications of this are enormous in multiple different verticals of the business. Even though this article might be about the environment, finances are always a business’ primary concern, and where the two can be balanced, reaps its rewards. £350,000 worth of rewards in fact for SJB, who has estimate that that is just how much it is set to save them per year after the move to cloud-based storage and collaboration. Savings come from eliminating the need for buying and printing on paper, including ink and supplies. Additionally the legal profession spend a considerable amount on couriers’ fees, secure archive storage, and secure shredding. Printing, scanning and managing documents are also a real drain on time for members of the legal services industry; in a survey conducted by Kyocera, 45% of respondents said scanning was the biggest drain on their time with 43% saying printing and a third saying creating duplicates of client files . But of course this article is about the environment, and the impact adopting change is having on it. While it is difficult to gauge just exactly how much paper SJB is saving we can extrapolate. In 2013, the world’s first ‘paperless trial’ between Boris Berezovsky and Roman Abramovich saved approximately five million sheets of paper using cloud technology. In a world where this technology is at hand, it’s insane to think that some firms are still carrying up to five lever arch files back and forward from chambers to the court . Phewf! Approximately 80.6m tonnes of printing and writing paper gets binned each year in the UK - 24% of total UK waste, while recycling just one tonne of paper can save 7,000 gallons of water. It also saves 17 trees, 380 gallons of oil, three cubic yards of landfill space, and 4,000 kilowatts of energy . Can you imagine if every single office were to move towards a paperless solution, never mind just the legal profession? Panini and a pint? Beer and a bagel? Yes there is more to this case study than just alliteration, we promise. 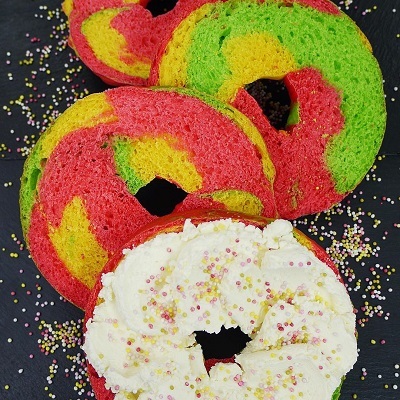 Brighton based businesses - bakers Bagelmans and brewers, Franklins - have an interesting supply chains to produce their respective products. The waste bagels which would normally be thrown away by Bagelman are instead used to brew the beer which Franklins sell - their Optimist beer, specifically. Those of you who are familiar with the brewing process will know that grain, plus hops plus water plus yeast plus time, creates beer through the fermentation process. Now swap out grain, such as barley for instance, and replace it with bagels and you have the basis of this Brightonian brew. And this collaboration, while with its trendy and sustainable credentials, is definitely not a new process; it was first around 4,000 years ago when brewers and bakers first worked together. And it seems others are also getting in on this ancient tradition. London-based Toast Ale use sliced bread from its neighbours E5 Bakehouse, to make its bottled craft beer. The It is estimated that 24 million slices thrown away by consumers alone . Each batch of Toast Ale uses 9,400 slices of bread, which equates to roughly one slice of bread in a 330ml bottle. While it is absolutely a step in the right direction, it appears one brewer alone can not solve the food waste issue. "I would love to give you this romantic story of me on a pedal bike going from artisanal bakery to artisanal bakery getting this bread, but the reality is bread waste is happening at an industrial scale," says Toast Ale’s founder, Rob Wilson. It’s certainly a much more optimistic outlook for the environment. Londoners’ favourite sandwich shop, ‘Pret’, has arguably been one of the most visible proponents of reducing, reusing and recycling on the high street. It has always fostered a culture of giving back. In 1995 the founders set up the Pret Foundation Trust with the aim to alleviate poverty in the UK . And using recyclable materials has always been part a part of their in-store packaging as they were also the first high street shop to sell sandwiches in cardboard boxes. In 2011 it was estimated that 2.5 billion coffee cups were thrown away annually, but the figure it thought to be higher now. 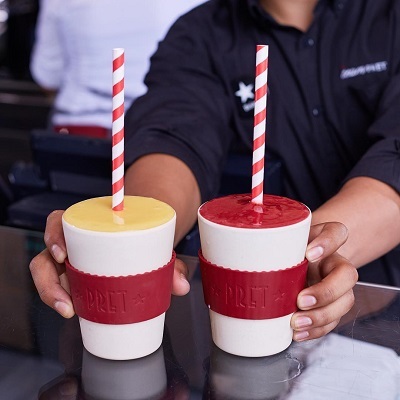 Pret has been trialling coffee cup recovery; if customers brought their own reusable coffee cup this would mean Pret had to provide fewer of their own coffee cups, and this was passed on to the customer through a 50p discount. This coffee cup recovery trial is part of a much larger sustainability push by the brand. By 2050 they are aiming to make everything 100% recyclable, reusable or compostable, eliminate all unnecessary single-use plastic, and help customers to recycle effectively in our shops. Whether it’s David Attenborough’s influence or not, it’s clear that consumers are demanding that the organisations that they buy from be environmentally accountable. This is one reason why we must adapt and change, but also out of necessity; it is no longer sustainable to keep chugging out plastic, not look to alternative sources of power nor digging colossal amounts of rock out the ground. We as small businesses must adapt and change, and fortunately we are often flexible enough to be able to bring about change and collectively we have strength in numbers. How has your small business adapted by introducing greener principles and practices? Let us know by tweeting us or leaving a comment on the Facebook post.